Sonic Boom Alarm Clock SB300SS from HealthyKin.com has a large, easy to read (1.8") display and a bed vibrating unit. 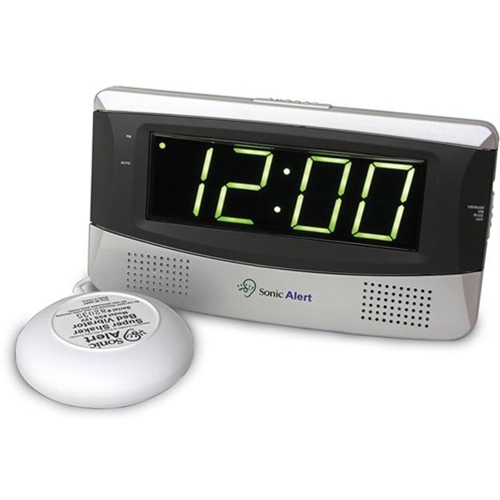 Several convenience features make it one of our most popular clocks, providing confidence and piece of mind while making it easier to fall asleep and feel rested the next day. Sleep well knowing you'll wake up on time.